Fermentation has been part of human diet since the prehistoric times. Kimchi is a Korean culinary tradition with a 1,500 year recorded history, developed as a means to preserve cabbage and other vegetables naturally through fermentation—like its distant cousin sauerkraut, or brined pickles. There is a certain mythical aura to kimchi if you ask any Koreans. Long heralded as the “super food” of Korea, many studies and findings in recent years associate kimchi’s unique attributes to numerous health benefits. 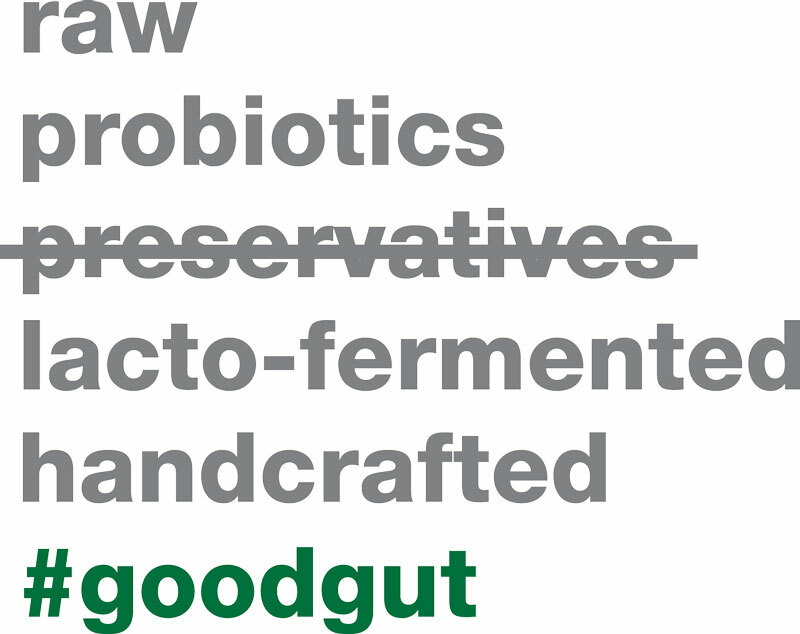 Kimchi produces non-dairy probiotics, or “healthy bacteria,” that aids in digestion and building a healthy, balanced gut flora, which results in a stronger immune system. One of kimchi’s main ingredients, raw garlic, has been proven to show cancer-fighting potential and the abundant antioxidants in kimchi are credited for slowing down aging process. 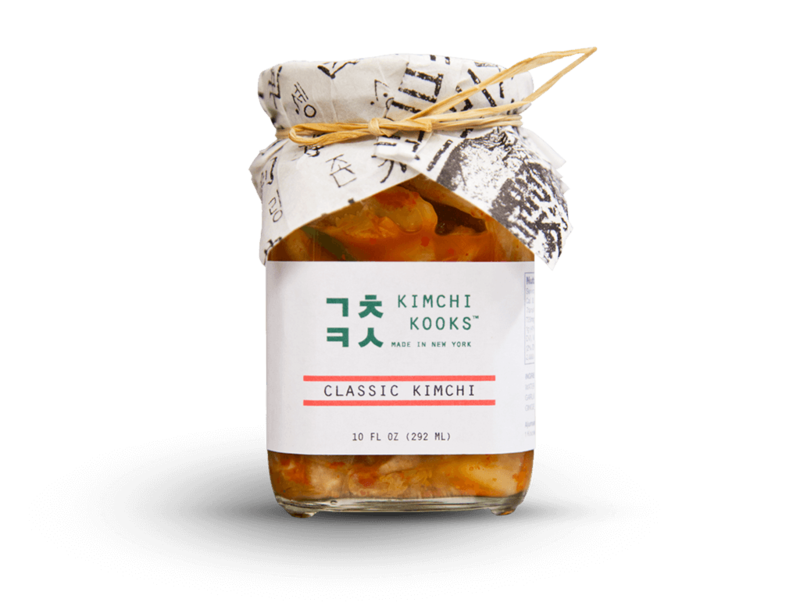 Every jar of Kimchi Kooks is handcrafted and lacto-fermented using only the freshest all-natural ingredients with no added preservatives. Raw and gluten-free, this kimchi is packed with vitamins and non-dairy probiotics that are essential for your diet. 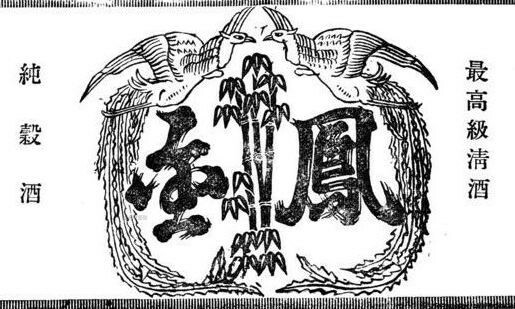 Fermentation of foods and beverages was very much a way of life in the Kook family. The technique and the knowledge of various types of ingredients and the resulting quality of foods have been taught and handed down from generations of men and women in the family. Our recipes originate from Kate Kook, whose grandfather, when she was growing up in Seoul, owned the then well-known Kŭmbong Brewery that produced cheongju, a high quality rice wine, from early 1920s until the late 1960s. Inspired by her experience of living in New York City since 1999, Kate created many small batch recipes using local, seasonal ingredients. Out of these experiments comes the Kimchi’d™ line, a contemporary take on a timeless tradition. 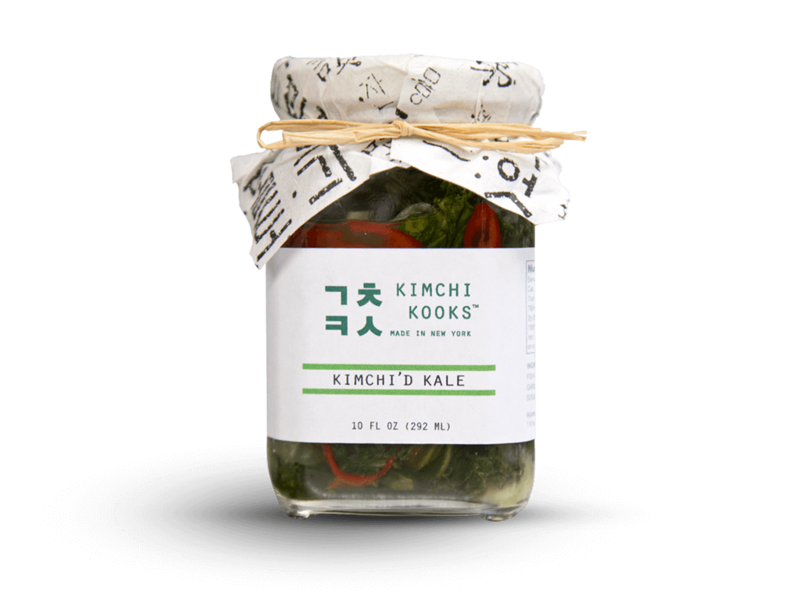 Kate has since perfected her own traditional Kook recipes that feature the Classic Kimchi and the Original White Kimchi. In 2015, Kate Kook and her son, WooJae Chung, established Kimchi Kooks in Brooklyn, New York. Nutrition Facts Nutrition Facts Serv. Size: 1 fl oz (30ml), Servings: 10, Amount Per Serving: Calories 10, Fat Cal. 0, Total Fat 0g (0% DV), Sat. Fat 0g (0% DV), Trans Fat 0g, Cholest. 0mg (0% DV), Sodium 105mg (4% DV), Total Carb. 2g (1% DV), Fiber < 1g (2% DV), Sugars < 1g, Protein 0g, Vitamin A (4% DV), Vitamin C (15% DV), Calcium (2% DV), Iron (0% DV). Percent Daily Values (DV) are based on a 2,000 calorie diet. Nutrition Facts Nutrition Facts Serv. Size: 1 fl oz (30ml), Servings: 10, Amount Per Serving: Calories 5, Fat Cal. 0, Total Fat 0g (0% DV), Sat. Fat 0g (0% DV), Trans Fat 0g, Cholest. 0mg (0% DV), Sodium 105mg (4% DV), Total Carb. 1g (0% DV), Fiber 0g (0% DV), Sugars < 1g, Protein 0g, Vitamin A (2% DV), Vitamin C (15% DV), Calcium (2% DV), Iron (0% DV). Percent Daily Values (DV) are based on a 2,000 calorie diet. Nutrition Facts Nutrition Facts Serv. Size: 1 fl oz (30ml), Servings: 10, Amount Per Serving: Calories 10, Fat Cal. 0, Total Fat 0g (0% DV), Sat. Fat 0g (0% DV), Trans Fat 0g, Cholest. 0mg (0% DV), Sodium 230mg (10% DV), Total Carb. 2g (1% DV), Fiber < 1g (2% DV), Sugars < 1g, Protein 1g, Vitamin A (30% DV), Vitamin C (30% DV), Calcium (2% DV), Iron (2% DV). Percent Daily Values (DV) are based on a 2,000 calorie diet. Nutrition Facts Nutrition Facts Serv. Size: 1 fl oz (30ml), Servings: 10, Amount Per Serving: Calories 10, Fat Cal. 0, Total Fat 0g (0% DV), Sat. Fat 0g (0% DV), Trans Fat 0g, Cholest. 0mg (0% DV), Sodium 310mg (13% DV), Total Carb. 2g (1% DV), Fiber < 1g (2% DV), Sugars 1g, Protein 0g, Vitamin A (0% DV), Vitamin C (15% DV), Calcium (0% DV), Iron (0% DV). Percent Daily Values (DV) are based on a 2,000 calorie diet. 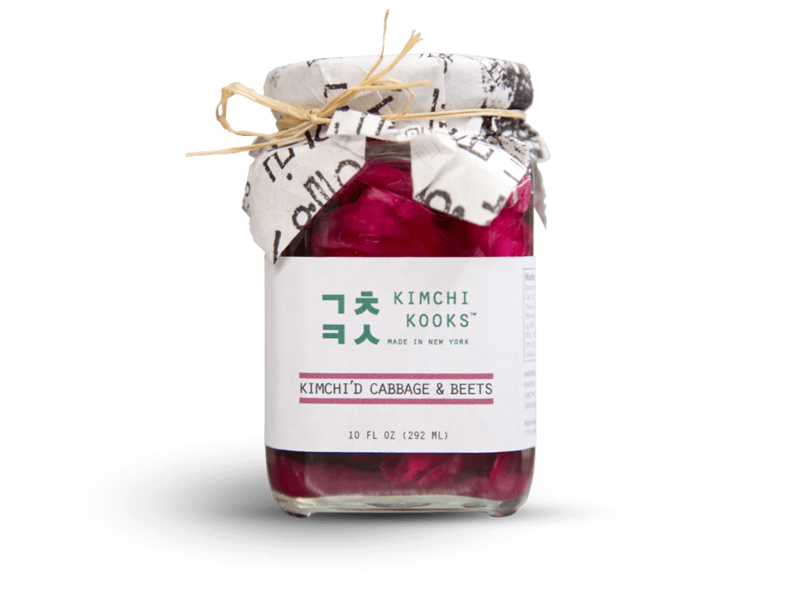 Korean pickled cabbage, kimchi, is another staple pickle; only a couple of years ago WooJae Chung of New York brand Kimchi Kooks set up the company with his mother using inherited family recipes, and the firm has gone from strength to strength. Its recipe depends particularly “on salting and brining the cabbage to an ideal level so that proper fermentation to reach necessary level of acidity is achieved and that the cabbage (or whichever main medium) retains healthy and bouncy texture,” Chung says. Meet WooJae, a humble but talented kimchi maker in New York. Alongside his mom, they founded Kimchi Kooks. We sat down with WooJae to find out how hip-hop and kimchi-making have influenced him over the years. We talked about the artistry of freestyling in cyphers and kitchens, about Tupac and how his music still takes on new meaning these days, and about what inspires us to keep going. As senior editor of New York Magazine’s Grub Street, Sierra has both highlighted some of my favorite chefs and establishments in the city and taken on the specific mission of telling the stories of women in the restaurant world today, and she has done so with a voice that is both compassionate and clever. Kate Kook and WooJae Chung, the mother-and-son duo behind Kimchi Kooks, radiate warmth and generosity when asked about their journey of becoming Brooklyn-based kimchi producers. Pouring glasses of sweet Sujeonggwa tea, they talk nostalgia of Korean cuisine with charm and laughter, as well as how kimchi’s on the rise as New Yorkers get a taste for fermented foods. Before the Portuguese introduced gochugaru to Korea, there was white kimchi: Classic cabbage kimchi without the heat. This chile-free variety highlights crisp cabbage and sparkles from fermentation. WooJae Chung, owner of New York–based Kimchi Kooks, judiciously adds ingredients like ginger and fish sauce to his White Kimchi to complement—without overpowering—the cabbage’s natural flavor. 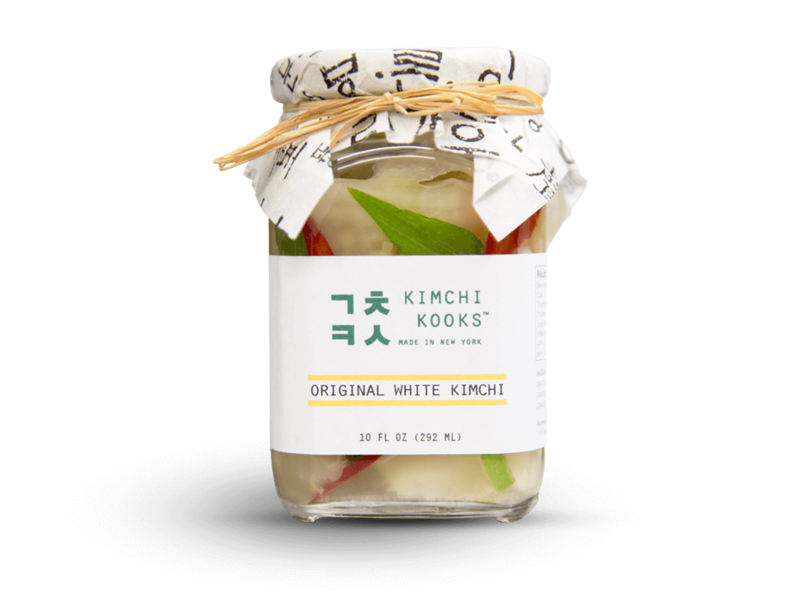 The mother-and-son duo behind Brooklyn, New York-based Kimchi Kooks uses traditional family recipes that date back to founder Kate Kook’s grandfather’s Korean rice wine brewery. Judging by their perfectly piquant Classic Kimchi, let’s just say this duo’s got some serious Seoul. “They’re so sweet,” Demby says of the mother-son duo serving up small batch kimchi at this year’s market. Kate Kook uses recipes dating back to her grandfather’s rice wine brewery in Korea to make delicious jarred kimchi, kimchi mung bean pancakes, and kimchi dumplings. 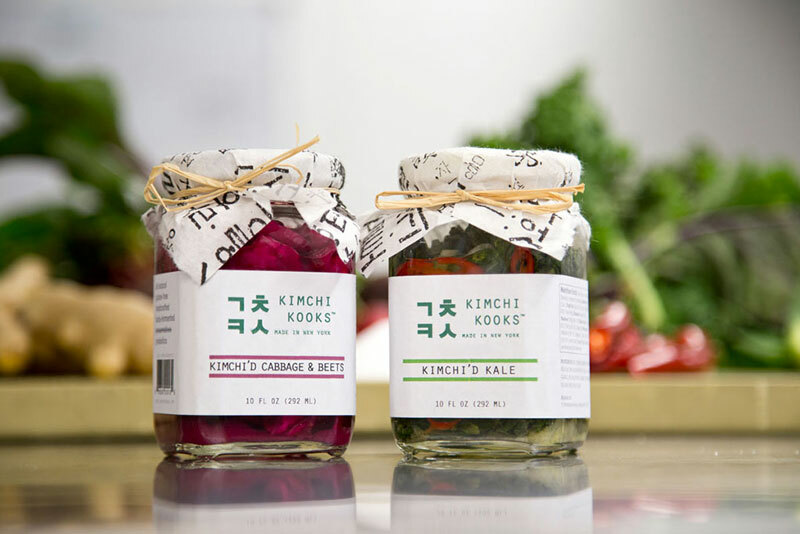 Kimchi — Korean fermented cabbage — is having a trendy moment, with not one but two new Smorgasburg options: both Kyle’s Kimchi and Kimchi Kooks are selling jars of their traditional pickled vegetables, and Kimchi Kooks is also making kimchi pancakes on site. 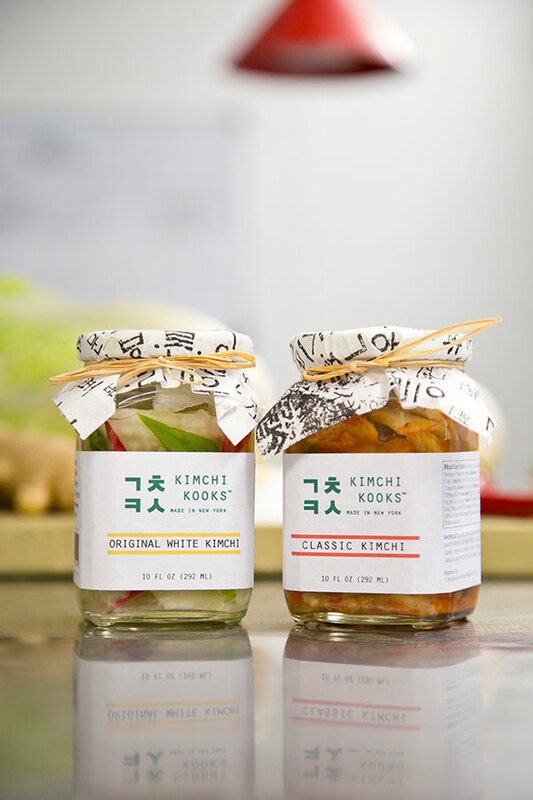 Using an old family recipe, this mother and son team makes small batch Korean kimchi, which they sell in jars and will serve in hot items like pancakes and dumplings. Jill chats with WooJae Chung of Kimchi Kooks about how kimchi is made and why it’s good for you.